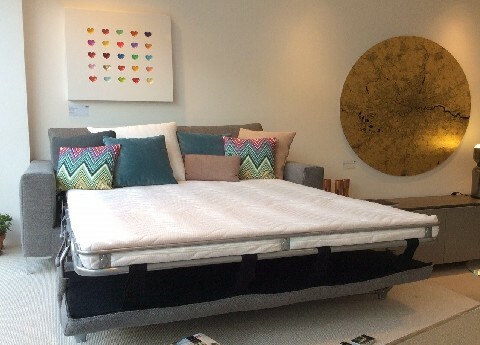 Within its sturdy tubular steel frame, and deep sumptuous foam and feather cushions, lies the answer of where to put your wise men and ensure they have a good night’s sleep: A highly sophisticated bed mechanism with a comfortable 13cm sprung mattress ingeniously hidden inside the sofa base. Happy is good looking enough to deserve taking centre-stage in your living room, spare bedroom or guest room. 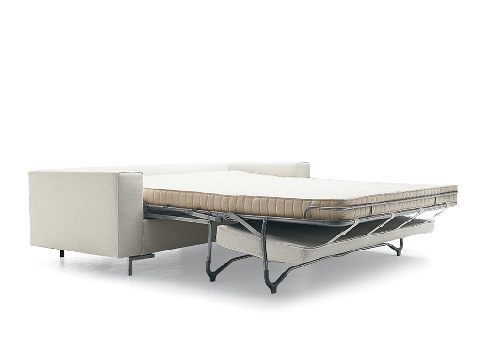 It’s also available in three sizes, with fully removable covers in cotton, linen, leather or own choice fabric. Its discrete angled feet are in chrome-plated aluminium. Made in Italy. Which all in all makes us very happy and we hope it will make you happy too. We have a Happy on display in our Kings Road showroom at the moment so please pop in and try it for yourself. 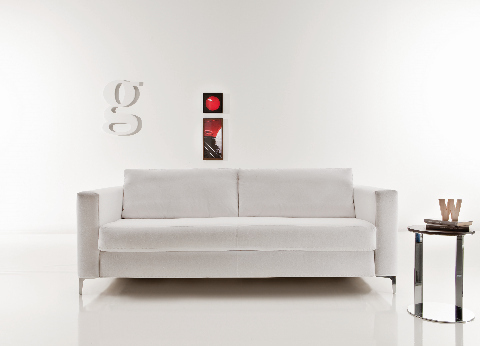 We can’t promise angels, shepherds or wise men, just a very good, high-quality sofa bed that won’t disappoint. And to add to the all round happiness factor… we’re offering a special 15% discount on ALL our sofa beds until the end of October. Simply use code HAPPY17 at the checkout, call us on 020 7731 9540, or talk to one of the team when you’re in the showroom. We’ll wake you with a lovely Italian coffee if we need to. Previous PostPrevious Fitted, hinged, sliding door or walk-in wardrobes – our guide to what you need to know!